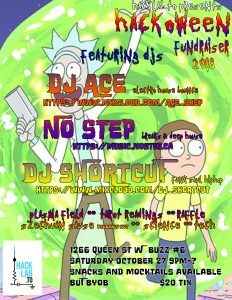 Celebrate both Hallowe’en and Hacklab’s milestone 10th year in style at our Hack’o’ween Fundraiser! 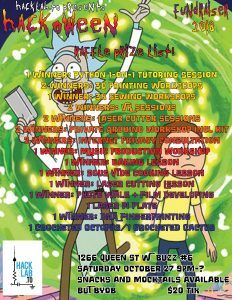 We’ll have DJs and dancing, a raffle with awesome prizes provided by our members including 1-on-1 lessons and mentoring in a wide range of areas, Hacklab t-shirts, collectables and more! Spooky weird science is everywhere! 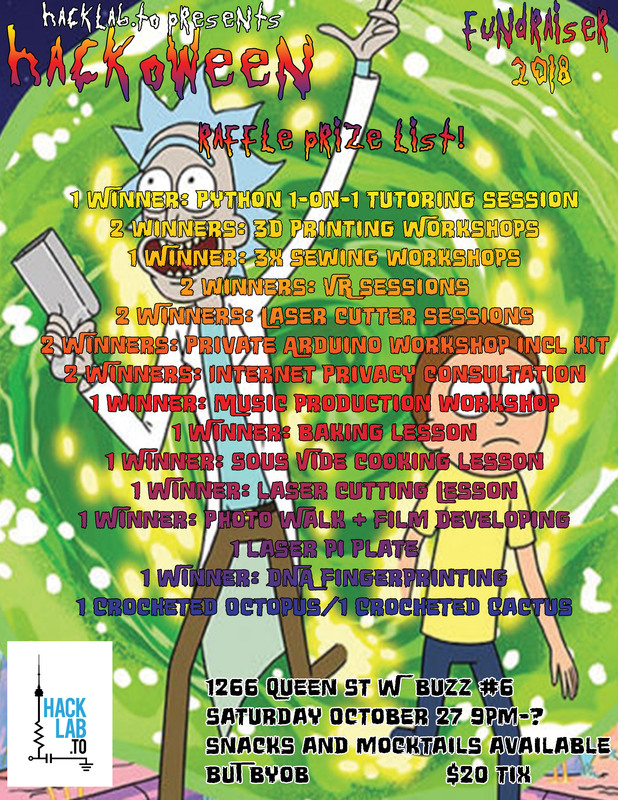 Hacklab is the longest-running makerspace in Toronto. 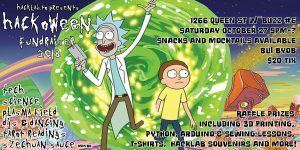 Started from humble beginnings as a place for techies to build and play with equipment as well as controlling it with software programming in a Kensington bunker, Hacklab has grown to include the DIYBio and chemistry lab, sewing corner, VR lab and more. 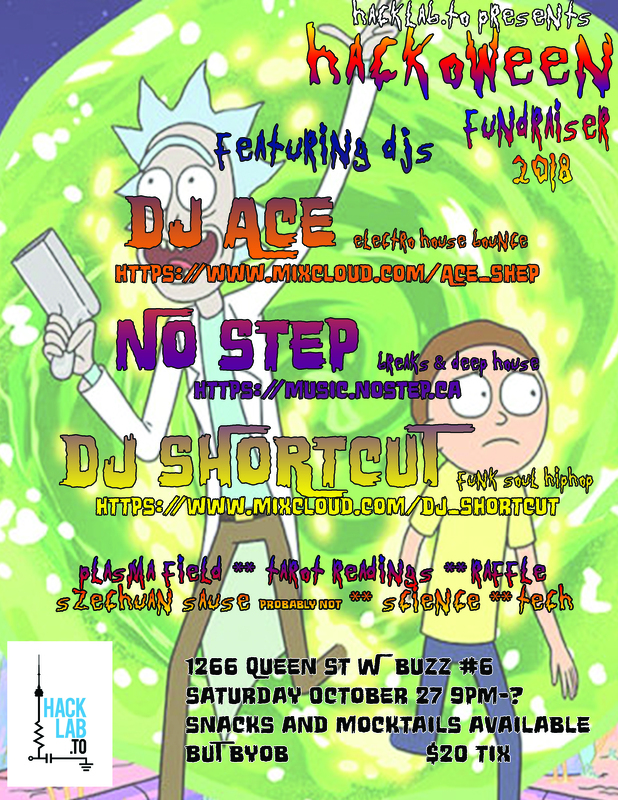 Come help us celebrate and raise funds to ensure the doors stay open and we continue to share and help members and non-members alike make their dream projects come to life! 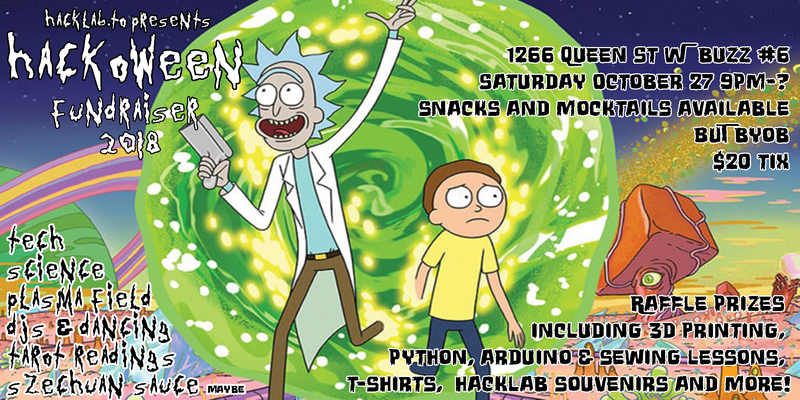 Snacks, non-alcoholic beverages and fluorescent mocktails will be available however this is a BYOB event.